Anne Wilson’s visceral works examine issues related to nature, memory and the body. Employing both organic and synthetic materials that suggest skin or hair, her art also explores the histories and evocative qualities of materials. Between 1985 and 1991, Wilson created a series of wall-hung works that were inspired by animal skins. The monumental Bull’s Roar is from this seminal Hide series. 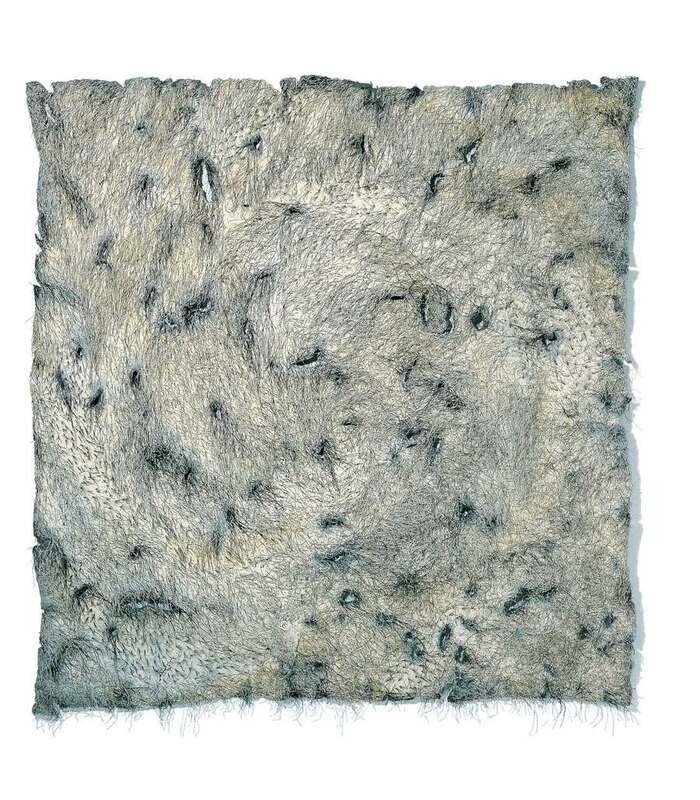 Made entirely from synthetic fibers and materials, Bull’s Roar simulates the natural hide of an animal with a bristly and scarred surface marked by folds, wounds, fissures and patches of woven fur. The trace of a formidable animal’s existence and demise is suggested in this seemingly fragile and distressed surface. Wilson imitates the natural world to poignantly express nature’s delicacy, vulnerability and the passage of time. From the bristly synthetic furs and artificial skins of the Hide series, she turned her attention to creating works that feature human hair and found linens, speaking to issues of gender, domesticity and the human body while generating many of the same visceral qualities as Bull’s Roar.